HoK is a flagship package from Neelambari that aims to be a quick but relatively comprehensive introduction to the rich heritage of Kerala. The one week package serves as a beautiful moving window to different dimensions of what Kerala has to offer. Day 2 Ayurveda and Yoga: On this day we will explore the rich Ayurveda and Yoga traditions of India, with emphasis on specific adaptations done in Kerala based on Ashtangahridaya. The day will start with a refreshing Yoga session by the river (if weather permits) or in Neelambari’s picturesque Yoga hall. A multi-media presentation on Yoga and Ayurveda traditions with emphasis on the philosophies of this system would follow breakfast. We will then visit an Ayurveda museum that would help understand the history and evolution of this system. Post lunch, we will visit an Ayurveda facility to get introduced to some herbs, medicine making and interaction with Ayurveda practitioners. Eating being the proof of pudding, we will conclude the day with some relaxing Ayurveda therapy including massage (uzhichil), kizhi etc as recommended by the physician based on your body type, medical history etc. Day 3 Cultural Experiences: With a traditional Koothambalam at its center, classicism of Kerala’s culture is woven into Neelambari’s existence. On this day we open our windows to the great classical art forms of Kerala. We begin our day with a multimedia introduction to the classical art forms of Kerala. This presentation will try to bring out the underlying principles of different classical art forms of India, widely different as they appear. Following this presentation we will go on a short trip one of the few Gurus that run institutes for classical art forms around Neelambari. The visit will allow for watching sessions in progress as well as providing an opportunity for informal, personal interactions with some great artistes. In the afternoon, we will have a lecture demonstration followed by a live performance in Neelambari. For the lec-dem and performance we will select a different art form than the one we used for Guru visit. 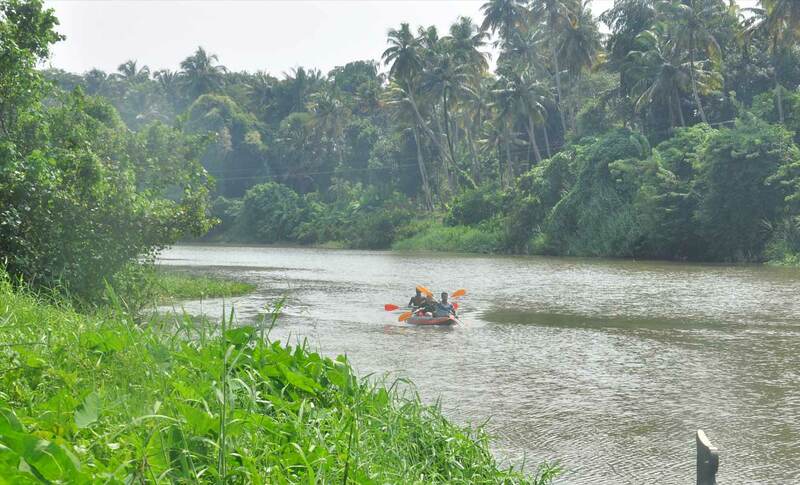 Day 4 Historical tour: The central Kerala region around Neelambari had witnessed significant historical events up to and including the advent of Europeans in India. We will start the day with a visit to Muziris that was once the capital of the Chera dynasty. Cheras ruled Kerala for several centuries and lent their name to it. After Muziris we will visit two historical temples (Koodalmanikyam and Peruvanam) both having an antiquity of more than 1000 years and witnessed significant historical events (in addition to being important centers of worship). We will conclude our day with visits to two archaeological museums in Thrissur, both located in beautiful palaces of erstwhile kings of central Kerala. Day 6 Village Experiences: We cut back on travel and spend our day in the beautiful village of Arattupuzha that is home to Neelambari. We will start our day with a village walk savouring the beautiful countryside around Neelambari. After breakfast we will visit some local farmers and artisans and engage with them on their lifestyle, work etc. We will cook and eat outdoor on this day and depart from our regular cuisine and put emphasis on local dishes. Late afternoon we will go for a river cruise in our traditional canoe. And we will go on a walking / cycling trip to the vast paddy fields to savor the sunset. Day 7 Temple and church visits: In India religion is not a stand out entity and it is intertwined with culture, traditions and history. Major temples have always acted as anchors for the Indian way of life and were the pillars of stability across centuries of sweeping changes in the social and economic structure of the country. We will visit three major temples and two catholic churches on this day, in an exploration of history and tradition. All the places of worship that we visit have a legacy of several centuries. Time permitting, we will conclude our visit at the Snehatheeram (Shore of Love) beach, considered one of the best beaches in Kerala. The days order can be changed depending on weekday / weekend considerations. A group discount can be given for 4 pax or more. This again can be worked out based on actual requirement and group size.